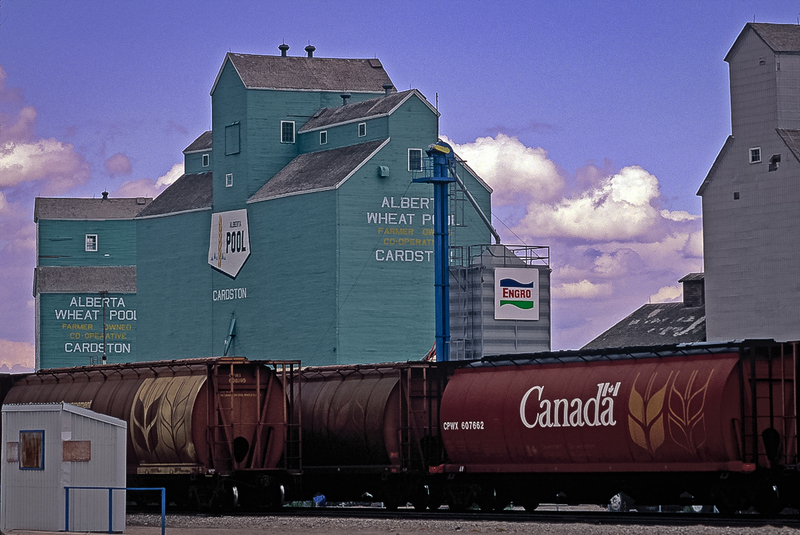 Alberta Wheat Pool grain elevator in Cardston, AB, May 1992. Copyright by Gary Rich. 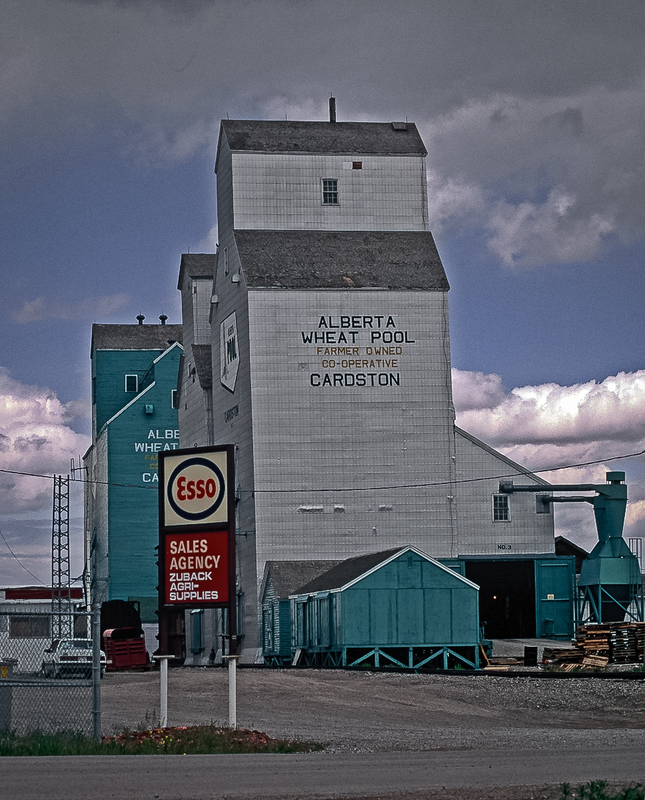 The town of Cardston in southern Alberta had three grain elevators until the early 1990s. 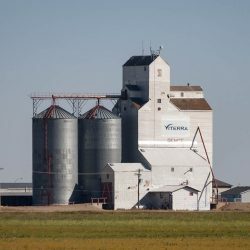 The three were owned by the Alberta Wheat Pool and served by the CP Cardston subdivision. 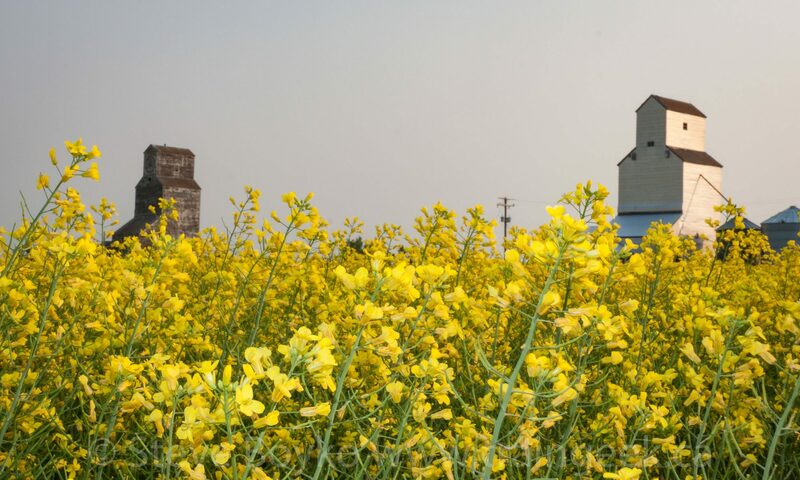 Grain elevators in Cardston, AB, May 1992. Copyright by Gary Rich. 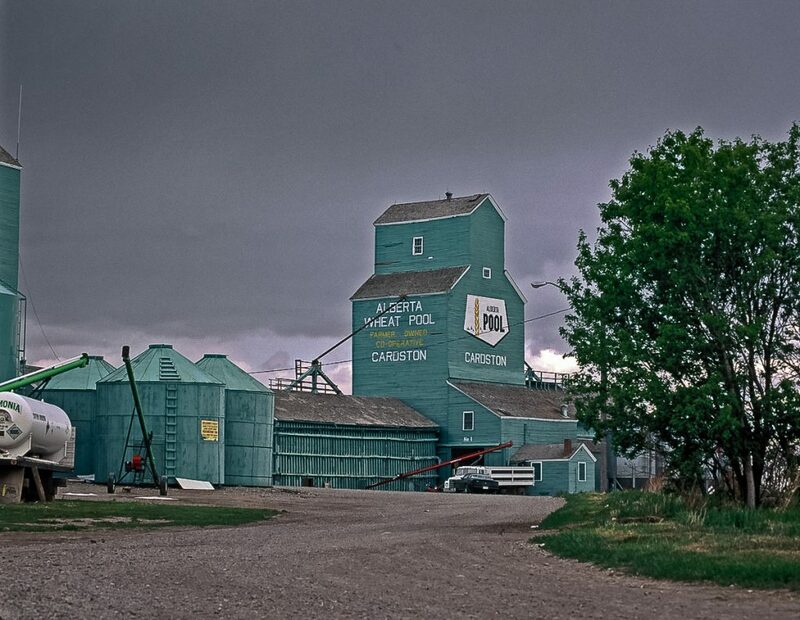 Cardston, AB grain elevator, May 1992. Copyright by Gary Rich.